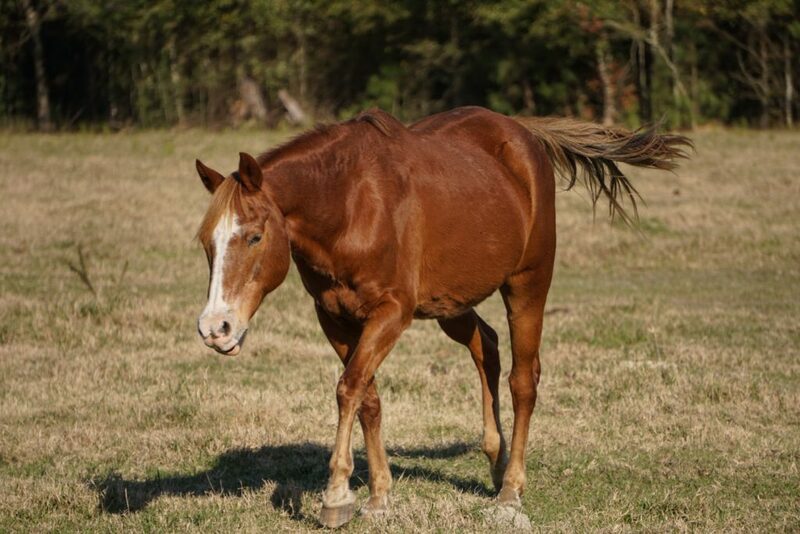 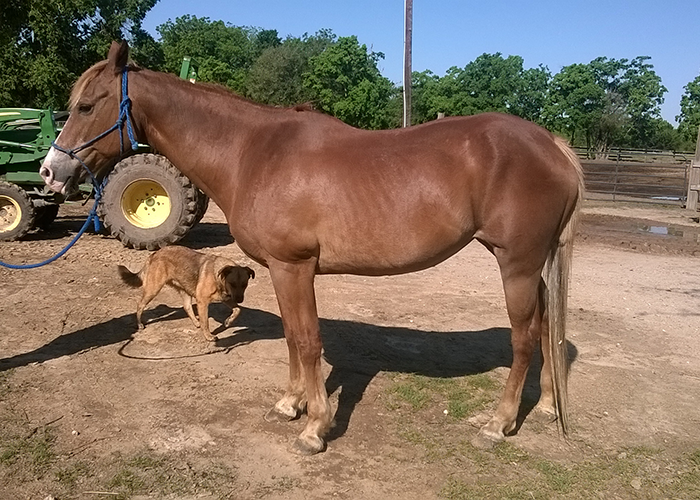 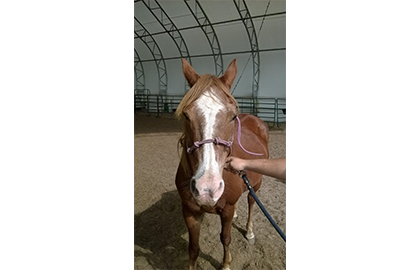 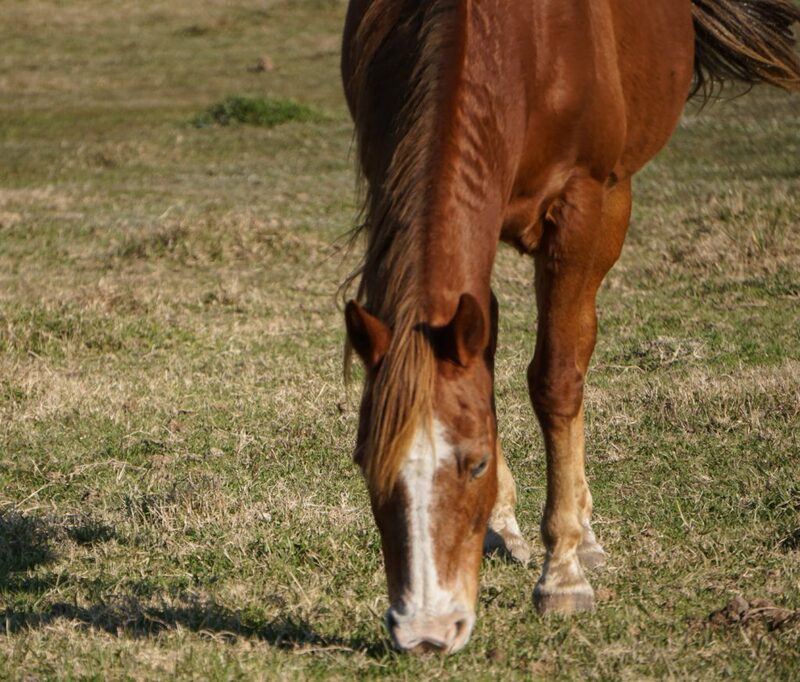 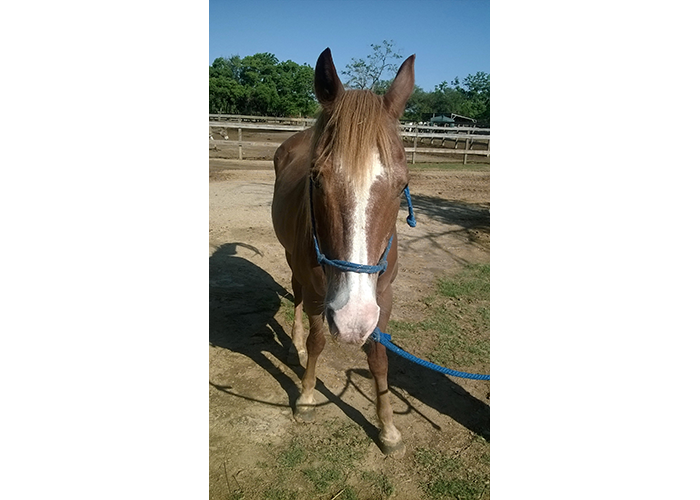 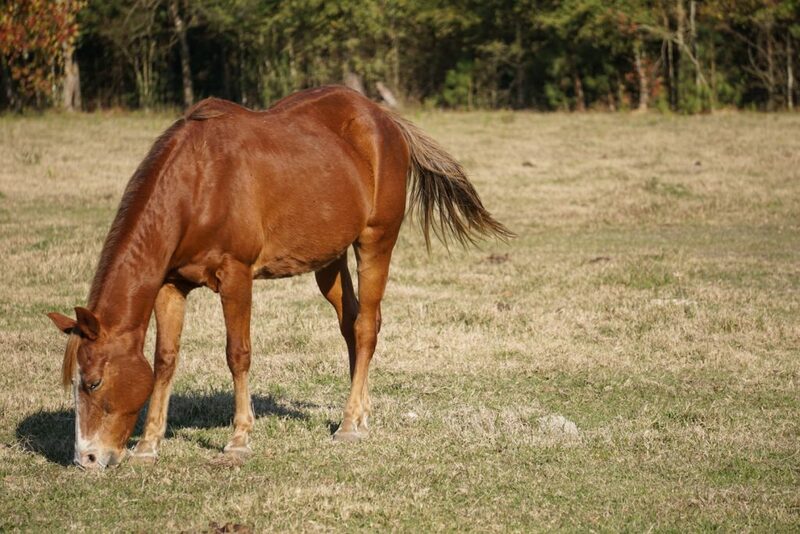 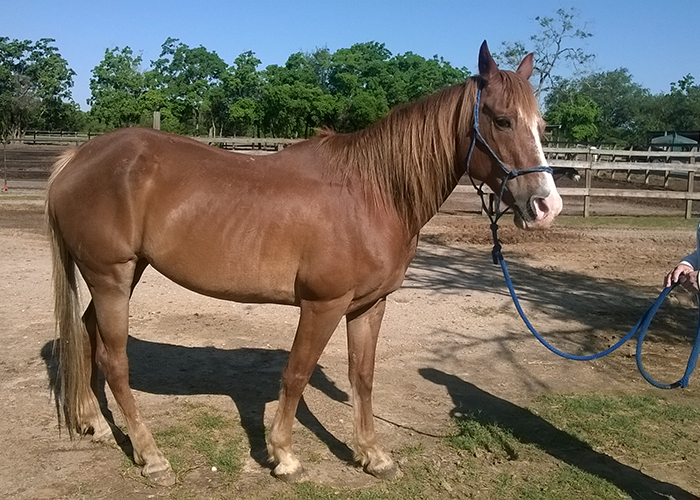 Marlo is pretty sorrel Quarter Horse. 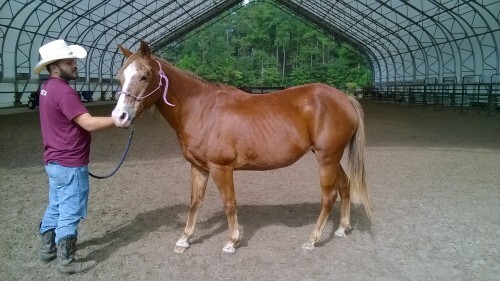 After our evaluations, we’ve found that she is easy to catch, halter and lead. 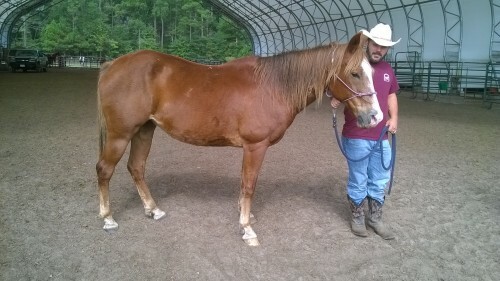 She picks up all four feet by touch, does good for farrier, and stands when tied and is calm in a stall.